JAMESTOWN, N.D. (NewsDakota.com) – Residents in the Dakotas are noticing some hazy skies and lower air quality due to ongoing wildfires in the Western part of the U.S. and Canada. 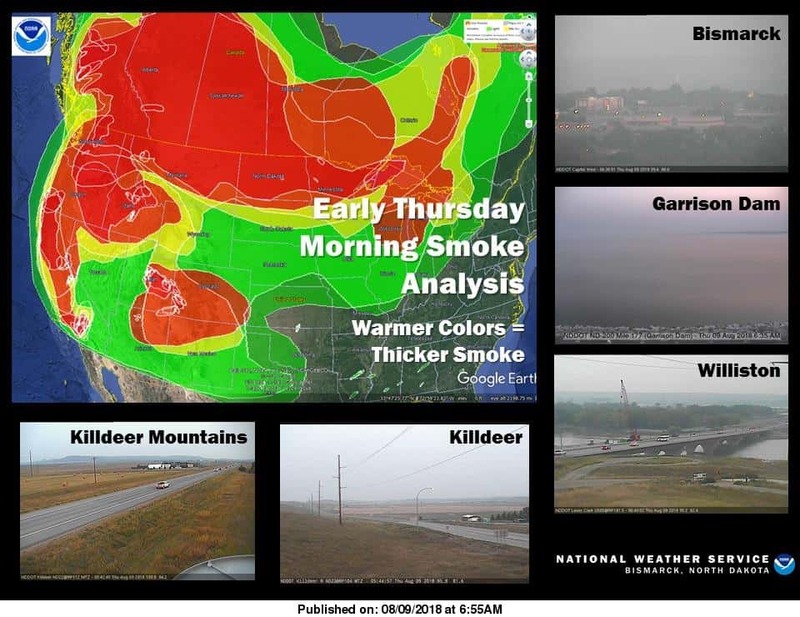 The US National Weather Service of Bismarck reports that the smoky skies will continue heading into the weekend. Meteorologist Janine Vining says the hazy smoke will remain over the states until a system comes through later this week. Vining says the low air quality will be coupled with some hot summer days heading into the weekend with estimates of up to 100 degrees in some parts of the state. Vining encourages individuals who may have breathing problems to limit their time outside with the current conditions. She says to keep windows closed and air conditioners going to keep smoke out of homes. She says visibility is also inhibited in parts of the state, so drivers should remain cautious.